The SUPERSTRUCTURE™ is the state-of-the-art platform that lies at the core of the all-new 2018 Elantra, Elantra GT, and Elantra Sport. 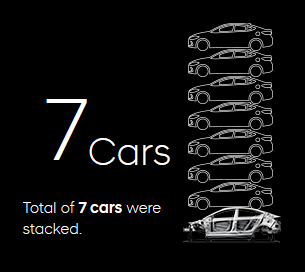 Made using a composition of our very own Advanced High Strength Steel, we put the SUPERSTRUCTURE™ to the test to demonstrate the Hyundai difference. 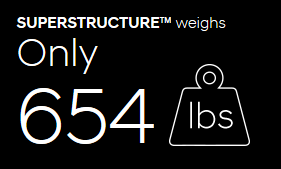 At the core of the core of the 2018 Elantra family lies the SUPERSTRUCTURE™, a state-of-the-art vehicle frame built with our very own Advanced High Strength Steel. 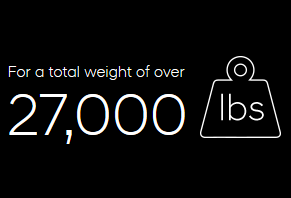 To demonstrate its remarkable strength, we put it to the ultimate test and stacked over 27,000 lbs on top. This proves how strong and dependable the new Elantra is, and why it’s fully deserving of its “Top Safety Pick+” award from the IIHS (Insurance Institute of Highway Safety). Browse our New Vehicle Inventory to discover an Elantra of your very own!